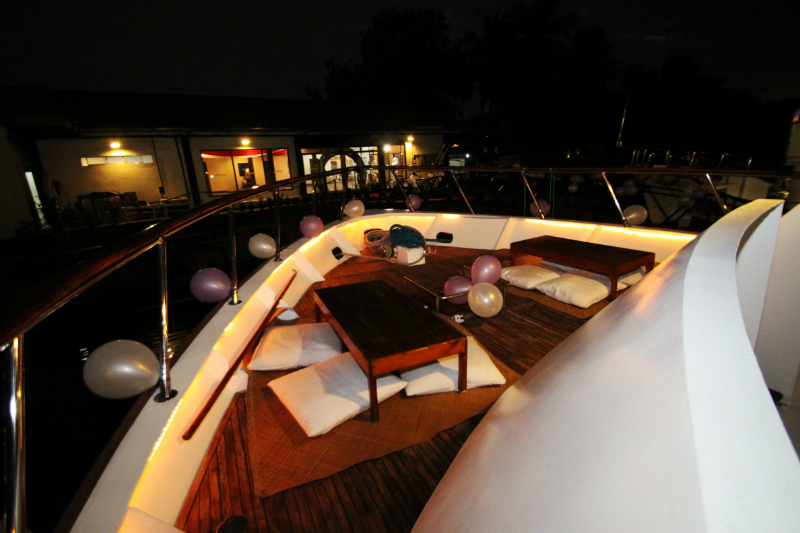 Have a relaxing on board experience and a night to remember with your friends/families with our 70-feet Party Yacht. 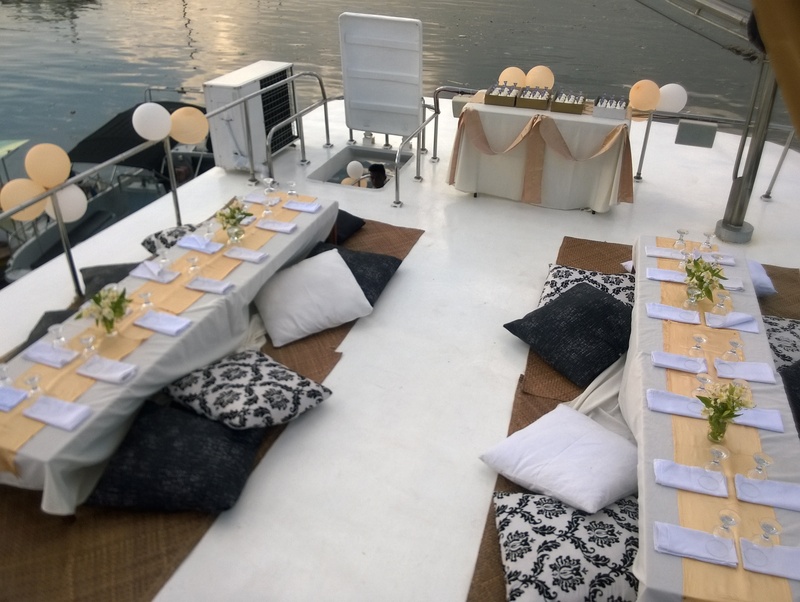 Whether you're planning an intimate evening of dining and cruising or something a little more fun and wild while sipping on cocktails, laughing and reminiscing. 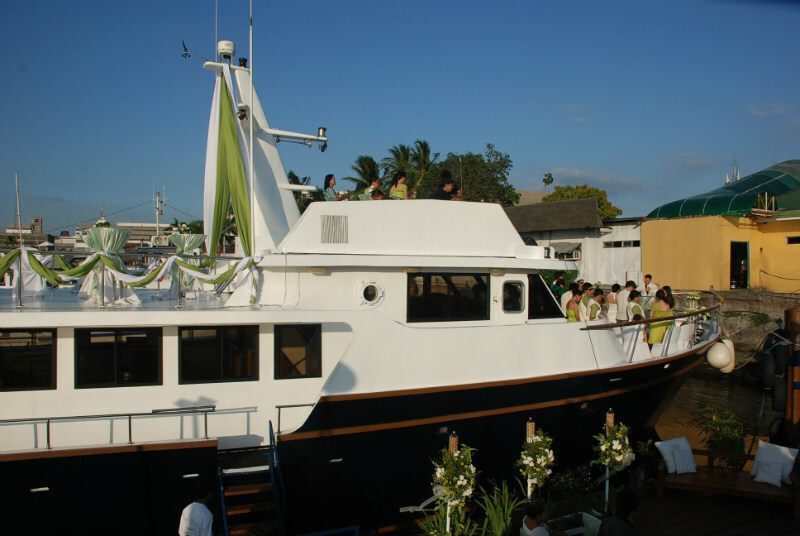 This 70-feet party yacht has all the features and goodies to set up for your next exciting event. 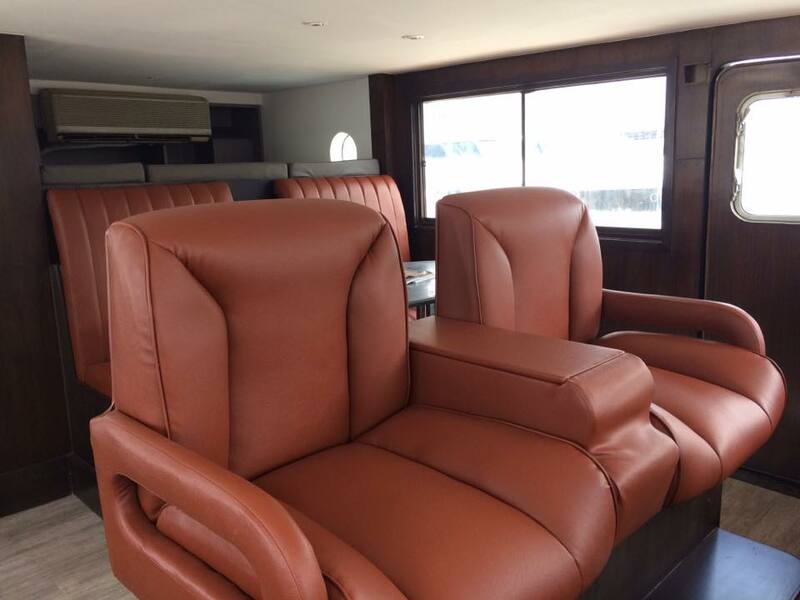 It includes a large main deck for open air parties, an air conditioned saloon, and three cabins for the passengers’ utmost comfort. 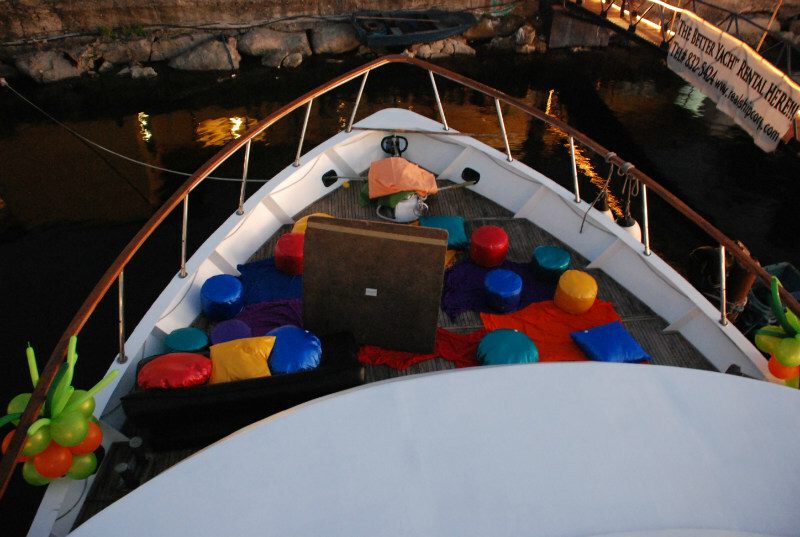 If it’s something a little more intimate you’re craving for a party of this nature, this unique party on-board will fit the bill! All vessels are fully crewed with insurance. 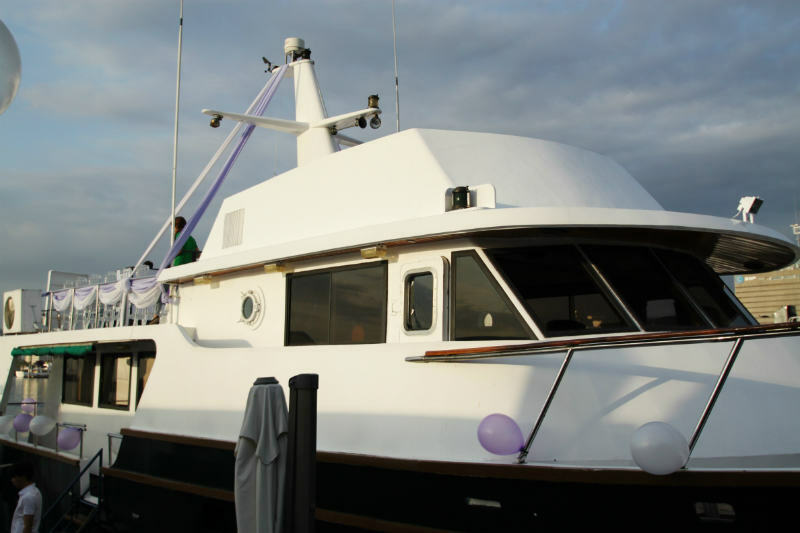 The Shanti 70ft is the perfect yacht for parties up to 40 guests. 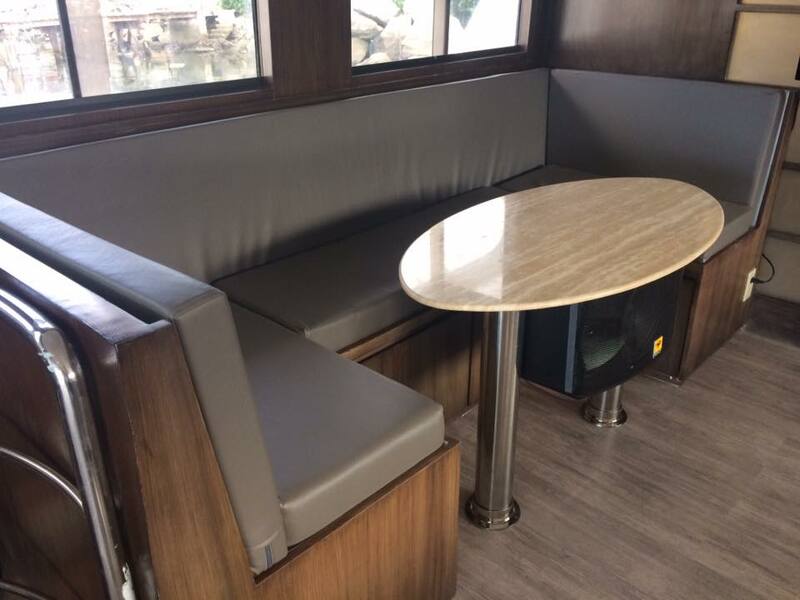 The features include an air-conditioned saloon with 55" LCD Display, KTV and built-in sound system to release your inmost siren voice while cruising, vast main deck for open-air parties, and three cabins. 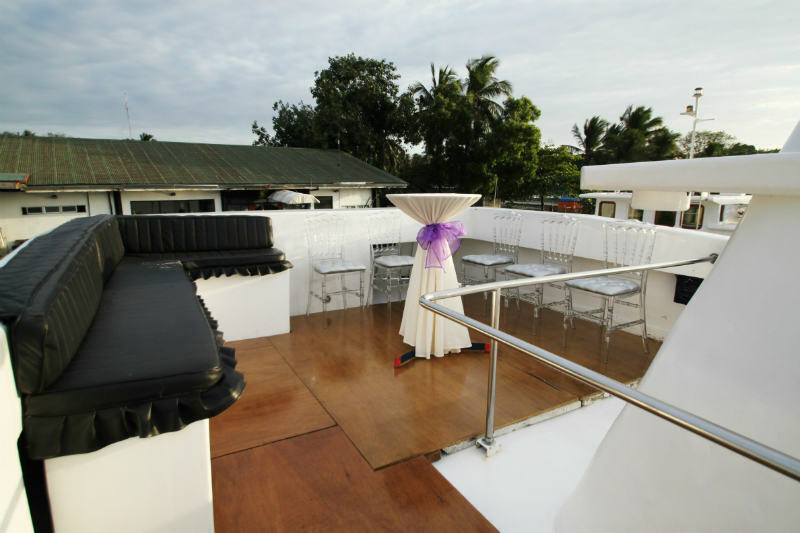 Of course, an exceptional party shall include a professional sound system with DJ for good slap of music and superb lightings of LED Par lights to have an additional ambiance. 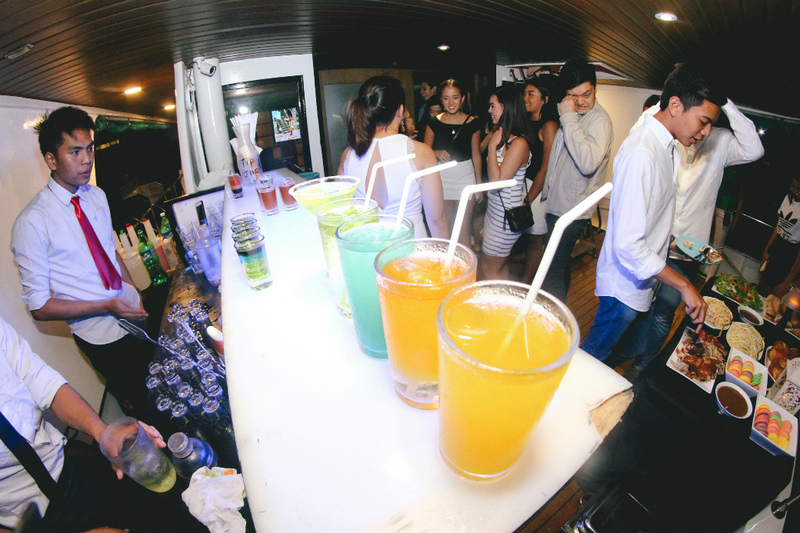 The yacht party won't be complete without having a good sip of drink along with the fascinating view of Manila city lights. 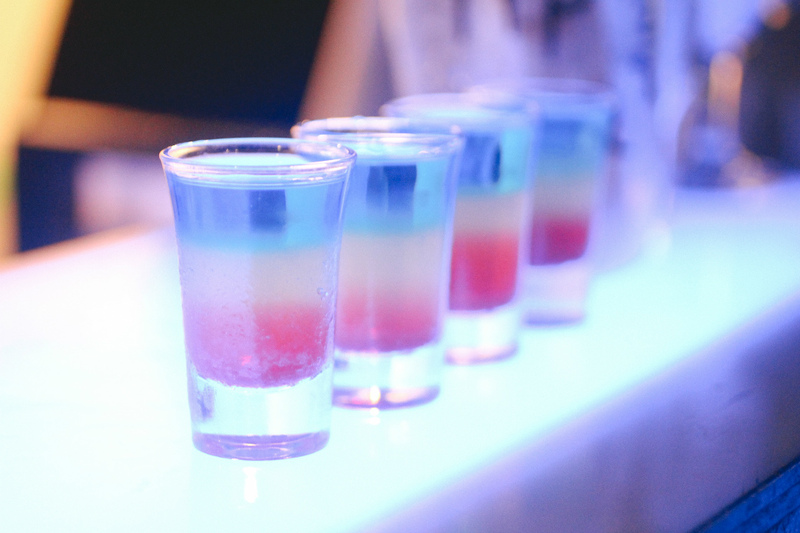 This includes blue lighted mobile bar, professional bartenders, and unlimited alcoholic drinks, from lite to hard. Time starts on given boarding time by the client. 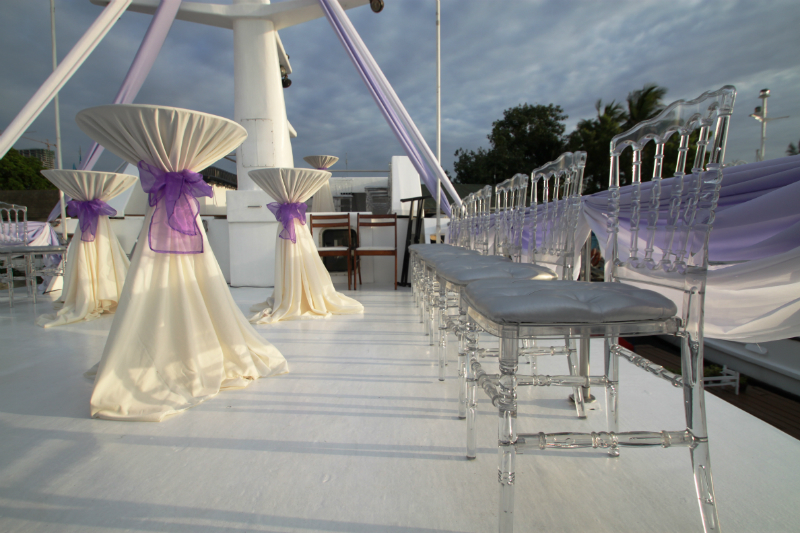 External Caterers are not allowed or corkage fees will be added. An additional charge will be incurred for every exceeding hour. Payment should be made immediately after the event. 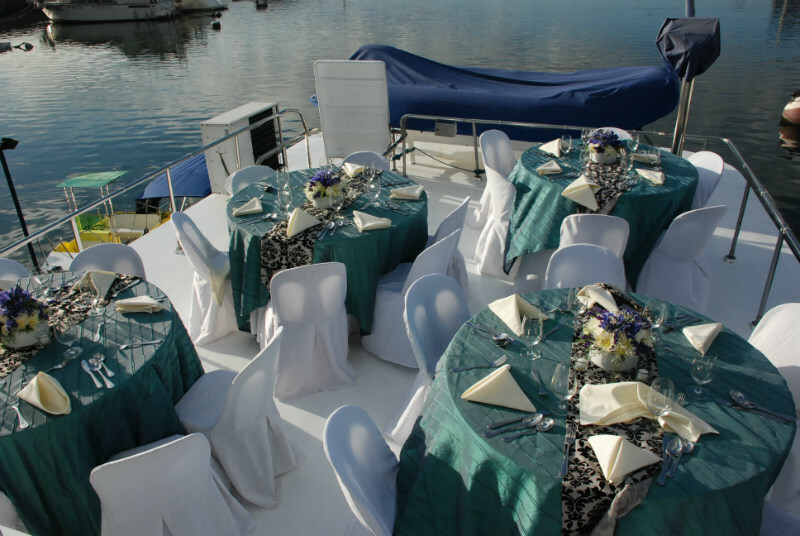 In case of bad weather, the yacht may not be able to cruise and your package will be converted to one of the following: 1-hour cruise = 2-hour dock or 1-hour cruise = 3-hour function room. Should the client decide to cancel the reservation, any deposit made by the undersigned will be forfeited. The event will be rescheduled should there be any occurrence of natural calamities such as typhoons, earthquakes, floods, and the like. For the safety of the passengers and vessel, the Captain has the right to change the time of departure at any point during the trip. The host will be charged for any damage and/or loss to the booked properties or amenities during the event. Manila Luxury Club cannot be held liable for any damage and/or loss of personal belongings during the event.